OctaFX is a leading online Forex and CFDs broker that was established in 2011. The brand is owned and managed by Octa Markets Incorporated, a company registered on the islands of Saint Vincent and the Grenadines. Their registered office is located at Cedar Hill Crest, P.O. Box 1825, Villa, St. Vincent and the Grenadines. Using the latest technology, OctaFX is able to provide quality brokerage services to clients in more than 100 different countries around the world. Operating with full compliance of international regulatory standards and legislation, OctaFX aims to gain the satisfaction and trust of every client that they serve by fulfilling all their trading needs and requirements. To bear testimony of the reliability of OctaFX, the broker has been awarded several awards in recognition of their achievements by Global Banking & Finance review. 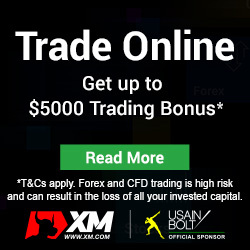 In 2012 just a year after they started operation, they were named the Fastest Growing Micro Forex Broker. OctaFX was also tagged as the Best Customer Service Broker Asia in 2013. In the same year, they also recognized by World Finance Magazines as the Best Broker Central Asia and the Best Broker Central & Eastern Europe. FX Empire also tagged OctaFX as the Best Customer Service Broker. In 2015, OctaFX was nominated by the Forex Report for the brokers “Outstanding Contribution to the FX Industry” and as well as being the Best STP Broker for 2015. In 2016 OctaFX have again reached new peaks as the “Best Broker STP”, “Most Transparent Broker” and other nominations and awards. With so many distinguished awards under its belt, OctaFX has definitely proven its reliability as an online broker to the industry. OctaFX has provided their clients with a selection of reliable and sturdy trading platforms to choose from. 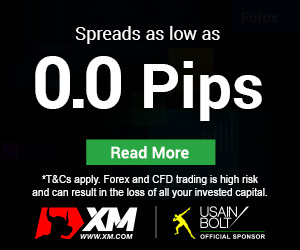 They consist of the MetaTrader 4 platform, the MetaTrader 5 platform and the CTrader platform. Added as an alternative to the MetaTrader 4 trading platform in 2016, the MetaTrader 5 is the latest trading platform from MetaQuotes Software. It offers the same kind of robustness as the MetaTrader 4 and supports several types of trade orders such as market orders, pending order, trailing stops and stop orders. The withdrawals of funds are typically channeled through the same methods by which the deposit was first made. All withdrawal requests made from Monday-Friday 06:00-15:00 (EET) are processed within 3 hours. Withdrawal requests made after the stipulated time window are processed by the next business day. To make it easy for traders to withdraw their money, OctaFX only imposes a low minimum withdrawal amount of $5. OctaFX also doesn’t charge any fee for withdrawals made although the trader can still be liable for processing fees imposed by a 3rd party payment processor. I am trading with octafx for last one year overall their service is very good like depositing and withdrawl, but they are failed to provide any technial support to their clients. I have invested more the 700$ with them i lost my all money during that tenure i ask them to provide technical support for future but they replied you should invest 100$ more then we will provide you. Is it good thing.